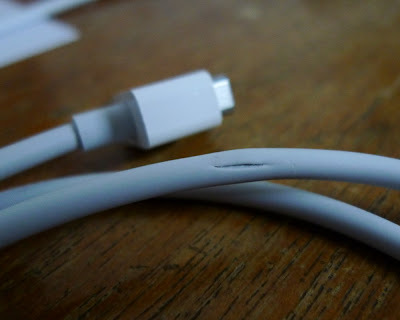 I shouldn't normally talk about warranties in a blog called ivoidwarranties, but my 3-week old MacBook's MagSafe adapter cable developed a crack. I took the photo on Friday, and today the crack seems to have lengthened. I took the adapter back to the service center ran by the shop that I bought the MacBook from, and all they said was, "This is not covered under warranty." Where is the legendary Apple service I heard so much about? I've used many other Apple products in the past without any problems, but this is my first Mac, and I'm not happy. The fridge place actually hired to look after their computers. I guess they were happy that I saved their referigerator. After their IT guy left to join the high profile consulting company, they decided not to hire a full time IT support personnel, so they asked me to go in once in a while to check out their server and do maintenance job. They gave me a good offer so I accepted. Unfortunately, the economy being bad as it is, I never got paid for months. I didn't mind that much, to tell the truth, since I got to learn a lot of new and fun things at that site. They have a huge server inside a huge server rack that could probably support a company 100 times their size. I asked their general affairs person why they have such a beast. She just looked at me blankly and said, "Oh, IT said we needed it and so we bought it." I feel so bad that my two new Core 2 Quad servers I built last year to run Windows Server 2008 cost less than the UPS they use to feed their server. So, after fixing the fridge problem, my next job turned out to be something that I caused myself. When I went to examine the server (by the way, it's a Dell PowerEdge with a quad-core Xeon) I found that it had dual LAN jacks, but for some reason only one LAN cable was plugged in. I looked at the Windows setting, and sure enough, one LAN device was disabled. That was strange, so I tried enabling the LAN device, and it seemed to work fine. The Broadcom server LAN has an option for bonding the two LAN devices into a team, so I did that, and plugged in a second LAN cable. Everything seemed to work fine, so I just scratched my head and left. The next morning they called me and said none of their drafters could run their drafting software. The software has a license module that runs on the server. I tried to remote login to the server, and found that I can't even reach the server. After some minutes of quickened pulses and hair pulling, I figured out the problem. It turns out that when the LAN team was created, it will take the MAC address of the LAN device that's initialized first, so the MAC address would be chosen randomly from one of the two LAN devices. (This is according to Dell documentation.) But later on when I tested, it would always take the MAC address of the second LAN device, which was the one without a LAN cable plugged in. So when I plugged in the LAN cable and created the team, the MAC address of the server changed, so it got a new IP address from the ADSL router (which was why I couldn't remote access it! But good Lord, the domain controller was in DHCP mode!!) and the license manager, which is locked to the server's MAC address, failed to run. So I just pulled out the LAN cable and let it be. And oh, the Dell actually has a dual-gigabit LAN. But it's plugged into a little desktop switch. I still wonder to this day if the previous IT guy was actually doing his job to the best of his ability, or if it was all a big joke to him. Anyway, the point of this post is that I finally got paid! In fact, the amount that I got paid was just a bit over what I paid for the MacBook less than two weeks ago, so this is almost like getting the Macbook for free. They still owe me money according to the original contract I signed with them, but I'm happy for now. I opened up my new MacBook to replace the hard drive. 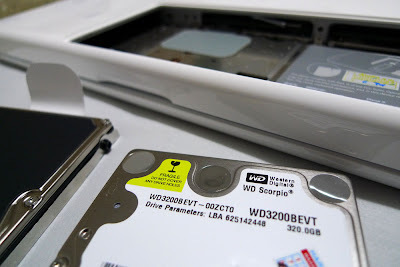 Unfortunately none of my TORX screwdrivers fit the screws on the MacBook's drive caddy. Must go buy new screwdriver. I did swap out the RAM though. 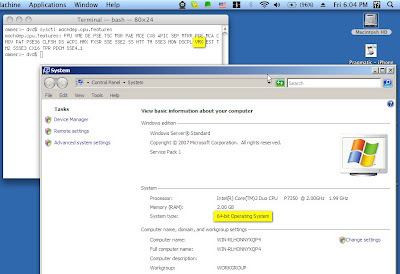 My ThinkPad T60 had 4 GB of DDR2 RAM installed eventhough the T60 series only supported up to 3 GB of RAM. So I swapped the 4 GB with the MacBook's included 2 GB. So now I get to use the full 4 GB of RAM on the MacBook, and the ThinkPad gets only 1 GB less than before. 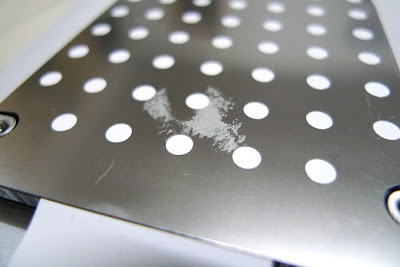 Strangely enough, the RAM modules, the hard drive, and the hard drive caddy all had silicon grease on them. Too much heatsink paste? 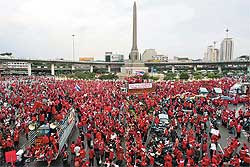 Thaksin supporters surrounded the Victory Monument yesterday making the normally bad traffic in the area even worse. Unfortunately I happen to be working at a different site right now, or I would be there to experience it first-hand. I did watch the whole thing on TV though. It's funny how a few months ago when the anti-Thaksin people took over the airport and basically destroyed the country, the TV stations were all interviewing the demonstrators and they all got to say on TV how much they hate Thaksin and they want their man to be the prime minister. But this time around, the TV stations were all interviewing the commuters and telling us how the commuters can't get home in the bad traffic. I guess not being able to go home is worse than having your country destroyed. There won't be an end to this mess just yet. There are two opposing sides, and each side wants their man to be the prime minister. I think it's just plain stupid earlier when anti-Thaksin people had to find all kinds of excuses to get the prime minister removed. I've always disliked software auto-update, especially at work. I'm sure the people that wrote auto-update into their programs have infinite bandwidths at their disposal, but this is not the case in real life. I've had clients complaining that their Internet speeds are really slow, and when I went in to check things out, I found that every single computer was downloading updates from the net simultaneously, over a 1 Mbps link shared by the entire company. However, I've always liked Lenovo (and previously IBM)'s System Update for the ThinkPad and ThinkCentre systems, collectively called ThinkVantage technology. This is because System Update can automatically figure out the hardware configuration and download the appropriate drivers. Not long ago, my company bought five or so ThinkPads, all with different hardware specifications and with different versions of Windows. I started up System Update on all of them and went home, and the next morning, everything was configured and ready to go. 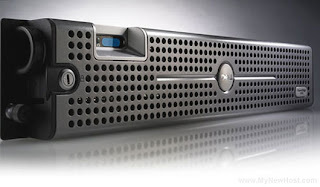 Update (June 1, 2009): After many customer requests, Lenovo decides to bring back System Update. Go Lenovo! 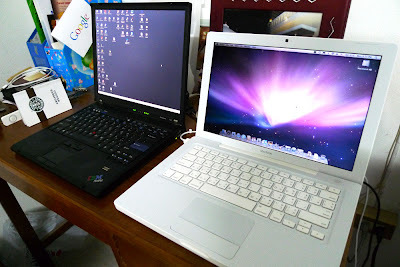 These are the operating systems that I've used on my main computer(s). My age is showing! 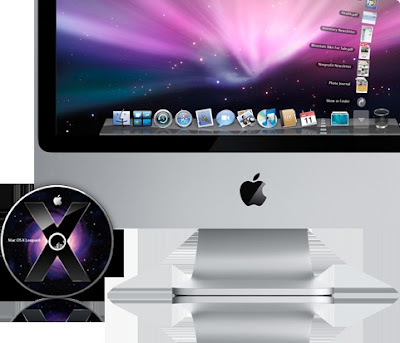 But OS X has been calling my name for a long time, and since getting the iPod touch recently, I've been so tempted to get a Macbook to start writing some programs for it. Unfortunately, Apple had a special 10-month interest free installment plan that just ended two days ago. I'm going out right now to buy some lottery tickets.